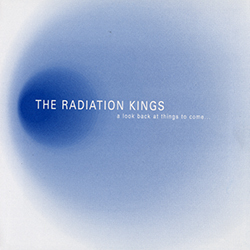 Proteges of King Django in the late 90's heyday of the NYC Ska Mob, the Radiation Kings were the scene's young lions. Awesome, powerful female vocals from Lisa White atop raw NYC/CT classic Traditional-style Ska and Reggae!!! Produced and engineered by Agent Jay at the original Version City in NYC. 4-song 33 1/3 rpm 7" EP. Picture Sleeve.